We are so excited to share with you a peek at what was a glorious day in the sun. The third in a series of four pop up events, the Zesty Pop Up Brunch was a fun switch up from our past dinners. 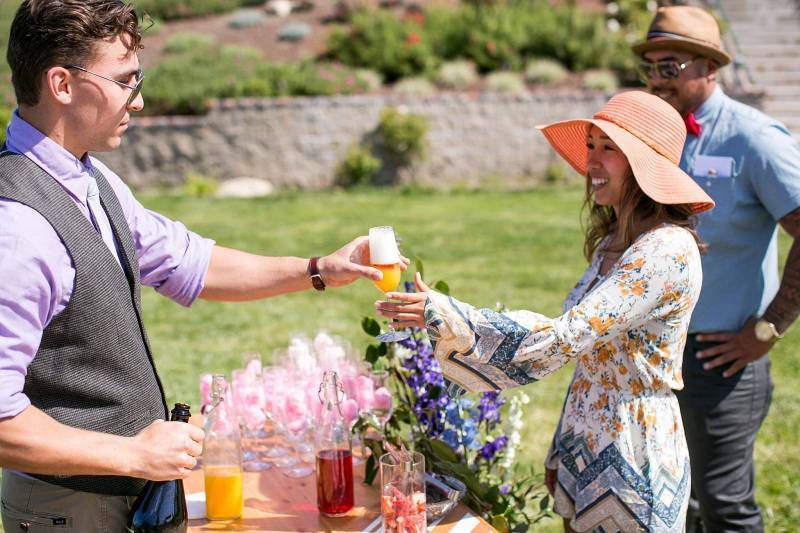 The focus is always great wine and great cuisine, but this time around was extra special as guests donned their "brunch best" for a Derby inspired gathering at Holland Ranch in San Luis Obispo, CA. Where to begin? First off, if you are not familiar with the Zesty Pop Ups, they are a unique philanthropic event that gathers guests around the table to enjoy a unique experience in a surprise location in honor of Family Care Network Inc. 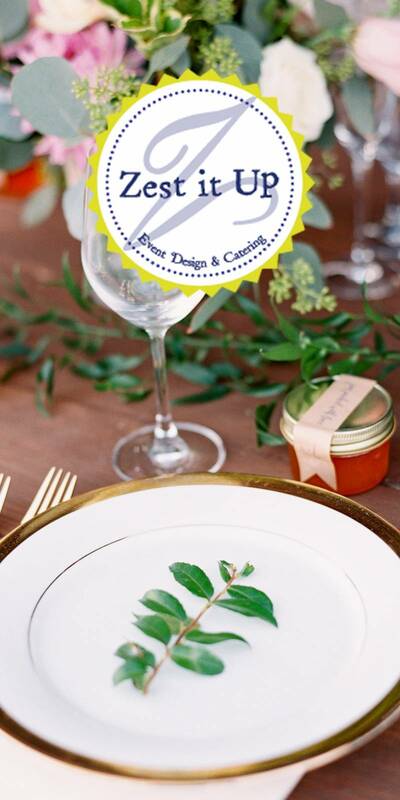 Guests are transported by great conversation, beautiful locations, local wines of excellence, and a surprise pairing menu that offers hors d'oeuvres followed by five courses served family style. These magical gatherings are pulled together by a talented group of professionals who completely donate their services and skills. The result? A wonderful experience for everyone to share, with 100% of the ticket proceeds going to Family Care Network Inc and the work they do in our community. Haute Sugar Co brought a dazzle of ombre cotton candy and gold flecks to enhance the Laetitia Brut Cuvee mimosas that graced the bar for arriving guests. The Derby-vibe was further enhanced by plentiful mint juleps for everyone to enjoy. Lawn games from SLO Coast Shenanigans helped make the most of Holland Ranch's expansive lawn as the chill vibes of The Monroe band created the perfect atmosphere to enjoy on a gorgeous sunny day. Special thanks goes to Professor Amber Karson of Karson Butler Events and the Cal Poly EIM Department for a theme development that let everyone dazzle in their super cool threads! The gratitude continues exponentially for all the beautiful photography and videography of Cameron Ingalls, as his artistic capturing of the day lets us live the joy all over again! Now, just imagine they are "scratch n' sniff"! 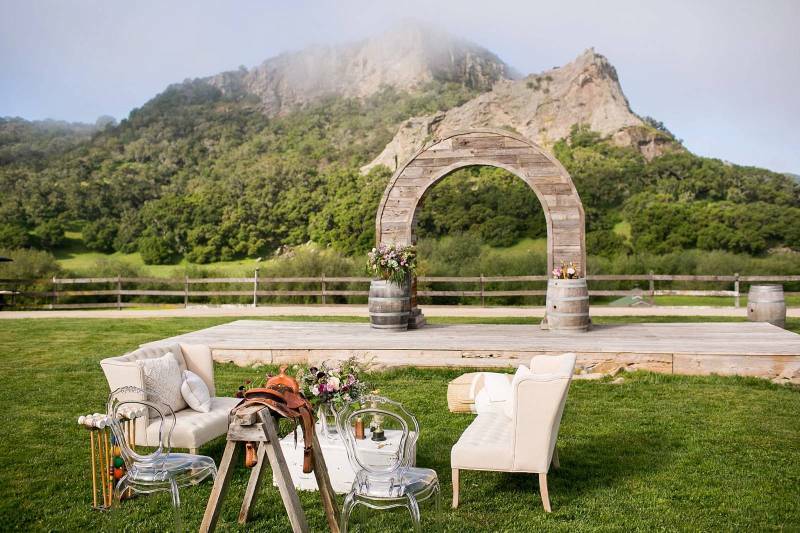 First the florals donated by many, including: Mint Design | Flowers by Denise | Noonan's Wine Country Designs | Festive Designs | Adornments which decorated all the beautiful rentals from the generousity of All About Events. All the beautiful flowers and ambiance were truly delight, but after yard games and mimosas it was time to brunch! Happy bellies and warm hearts on such a sweet day! It was time to open up the dessert bar, because who wouldn't want to indulge in treats prepared by the very talented ladies of Paper Cake Events? Thanks to all who donated and attended! You helped us make a difference in our community and we are tickled pink!! 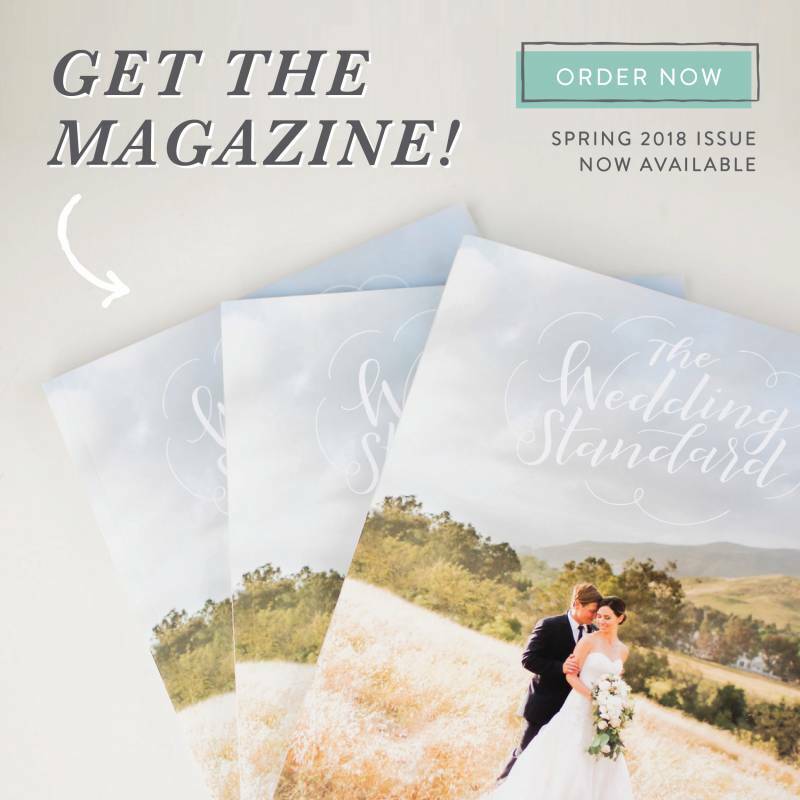 *Contributing Authors, Sam & Chanda, are the dynamic duo behind the San Luis Obispo Wedding Coordination, Design, & Catering Company known as Zest it Up.